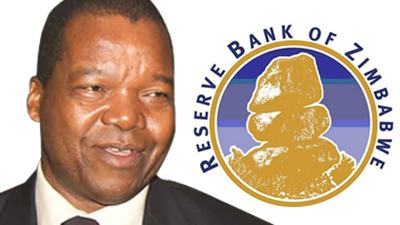 Here is the latest chapter in the Golix vs RBZ (Reserve Bank of Zimbabwe) saga. The RBZ filed its opposing application with the courts. Summary of how we got here: the RBZ banned the trading of cryptocurrencies, ordered banks to freeze Golix’s accounts and then ordered Golix to cease operations. Golix sued and got an interim relief. The case is in the courts and on Friday the 8th of June, the RBZ filed an opposition application defending its ban and challenging the interim relief. The Banking Act gives the Bank [RBZ] the powers to supervise banks and prescribes a variety of supervisory actions that the bank may take as a measure to correct any conduct that may be a threat to the smooth operation of the banking and financial sectors. It is as a result that the Bank directed banks not to deal with the applicant (Bitfinance (Pvt) Ltd) as the latter’s activities were not only unregulated and illegal, but presented all kinds of risk, including but not limited to fraud, money-laundering, evasion of the country’s exchange, terrorism financing. The Reserve Bank rips further into Golix and gives an explanation as to why they say the cryptocurrency exchange was operating illegally. The RBZ’s interpretation of the Banking Act is that Golix was engaging in banking activities. It then becomes illegal because they do not the required licence to operate as such. So in the RBZ’s eyes, Golix was operating unregulated and illegally. You might recall that Golix was in the process of preparing an ICO (Initial Coin Offering) when the ban was effected. The RBZ classifies that ICO as a pyramid scheme because Golix would access the public’s funds without tangible security or even the ability to refund the subscribers on demand. You can read the full copy of the RBZ’s response here. The hope is that the fight does not extend over to the blockchain technology, the technology which makes cryptocurrencies possible. The technology has many other applications as we are seeing across the world. There are companies utilising the technology in Zimbabwe in some innovative solutions. Techzim recently released a report focusing on the practical applications of the technology, the companies currently utilising it in Zimbabwe and the barriers to adoption in Zimbabwe. RBZ is fighting against winds of change. Im no fun of cryptocurrencies, bt they represent what the future holds in the ever increase popularity use of internet. People are tired of centralised freak controlled money system which have made people sooo poor everytime that recession happens. People have lookibg for ways of moving away from central banks, looking for a system which one country controls. Although not the best, crypto seems to be what people have been yearning for for years. It is giving a taste of what banking is going to like in digital future. Crypto currency is the first baby steps into the future. For RBZ to try and fight it is based on lack of foresight. Its best to keep your friend close and your enemies closer. Most central banks in developed countries are keeping their enemy closer, support bitcoins bt holding a gun on the other hand. Just because RBZ is using banking laws of 1940s, those were okayish that period, now they are not. Technology is making a lot of these laws old everyday. “The RBZ can prohibit all banks in Zimbabwe from transacting with Golix simply because Golix is not an “authorised deposit taking institution”, to be one, the law currently stipulates multiple licensing regimes that Golix does not meet. On that basis the RBZ is well within its rights to ban golix. RBZ can order Golix to shut down all its accounts on the basis that currently Golix is operating as an unauthorises deposit taking institution which is not licensed by the RBZ and has not met any statutory minimum capital requirements or standards, the onus is on Golix to be licensed and to be authorised, Golix is at risk of attracting huge fines by barking up this tree. “deposit taking institution” is a broad term which Golix falls under…. The RBZ has the right to ban any “un authorised” financial activities immediately, that is why forex dealers in town don’t get days to wind down or a right of appeal or review. RBZ can simply argue that Golix operated illegally and is not licensed therefore it should cease operations immediately, there is no requirement at law for due process there and in that sense the decision is directly proportionate if not lenient. Your are very correct and I distinctly remember your comment from that previous article. However, even though Golix may be unauthorised to do what they are currently doing, does the RBZ have legal authority to ban Banks from holding accounts for crypto users as they have done? Money must circulate stop talking nonsense.